Thirty years ago, the founding partners of Eastlake couldn’t settle for a dingy studio with a subpar alley view. So, they signed a lease and settled in to the very top of Tribune Tower, where Eastlake grew into three floors and a full staff of designers and architects. When we learned that Tribune Tower was being converted to residential use, the hunt began for a new space encompassing what was loved most about the studio— cityscape views and its inherent history of creative production. Long vacant, like it had been waiting for us, the 26th floor of 333 North Michigan had all of the assets we wanted, and then some. Split into two suites, the north side is part of the original 1928 art deco structure designed by Holabird & Root. 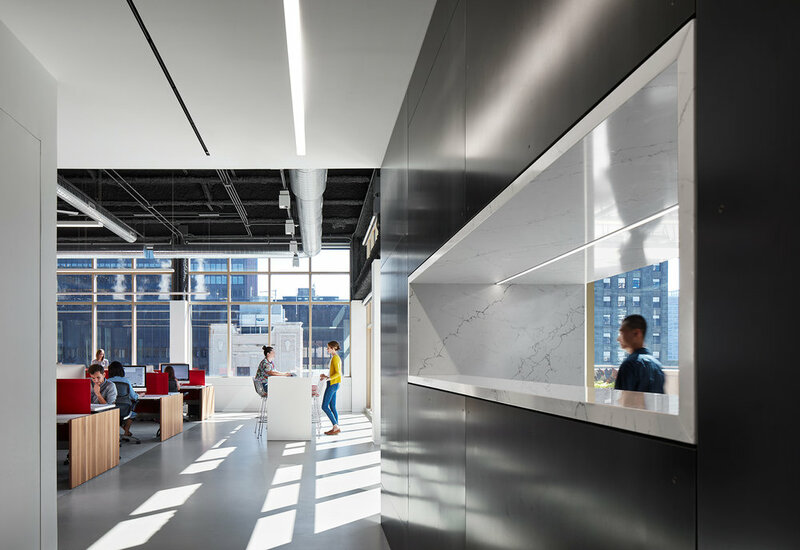 With views facing the Tribune Tower, the Wrigley Building, the river and the lake, the north wing was conceptualized for formal presentations and reflection, with a large formal conference room and two executive suites. Mies van der Rohe’s Barcelona chairs and a reproduction of a Richard Boch sculpture nod to the surrounding architectural history, and two seating areas provide a respite from the bustling staff suite on the south. The south wing is an active space, housed in a more contemporary structure surrounded by 17’ tall curtainwall glazing and a large private deck with views of the skyline on three sides. 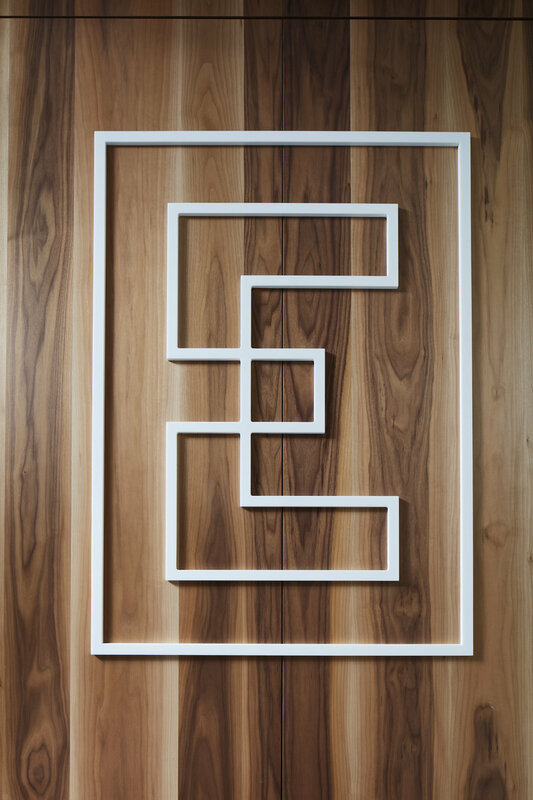 The studio exhibits what Eastlake is best known for - workplace interiors with a cool edge. It also celebrates a revamped visual identity which was simultaneously implemented with the move. With our new logo prominently featured, the space is truly one with the brand. Phone rooms and a wellness space line the open studio space, adjacent to a break area and presentation space. Height-adjustable tables with an industrial vibe emanate Eastlake’s communal, culture-driven values, and enable all staff members to gather for weekly meetings. A large resource library with an island for intimate presentations and plentiful storage gives the designers a space to envision schemes and organize materials. The building itself has a prominent, layered history that spans the timeline of the city. It sits partially over the site of Fort Dearborn, and Eastlake’s suite was formerly the Tavern Club, a private membership lounge where Chicago's cultural elite gathered for libations during Prohibition. Exhibitions, music and well-known patrons like Carl Sandburg and Frank Lloyd Wright helped it earn notoriety as a “third place” for creatives. We understand that community and celebration help make great design, and we hope to keep this spirit alive through our work and plenty of lively, after-hours gatherings on the deck.